I love New York City. It's been my home for as long as I can remember and I'm always in awe of the beautiful parts that I get to discover. 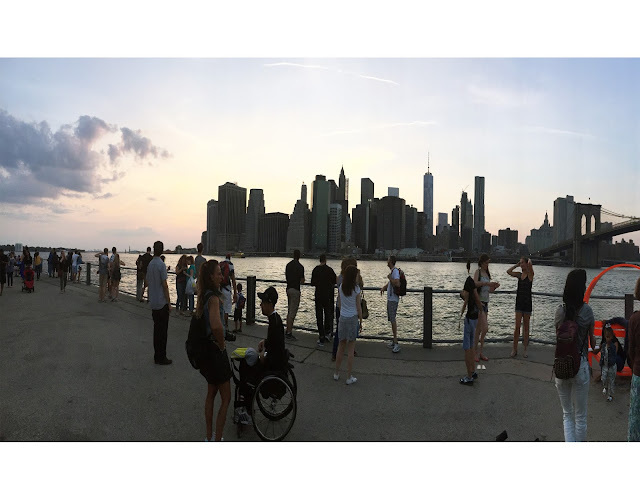 Manhattan is beyond amazing but recently I've been spending a lot of time in DUMBO and soaking up the views of lower Manhattan from across the East River. 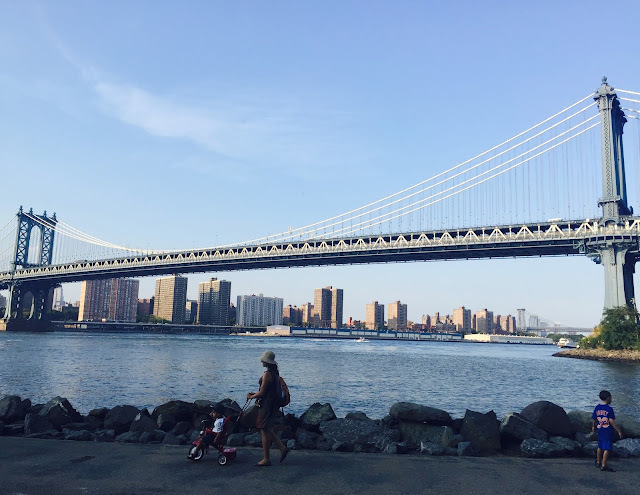 I recently went on a little adventure into Brooklyn in order to enjoy the final days of summer and had a lovely time soaking up the sights and sounds of New York City. I truly am blessed to call this place home. 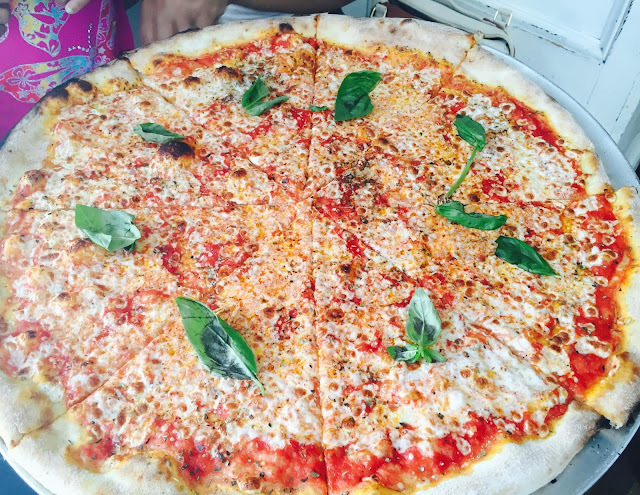 Aside from walking around the Brooklyn Bridge Park we had some amazing pizza which is so confident in it's taste that the place is simply called Best Pizza in Williamsburg. 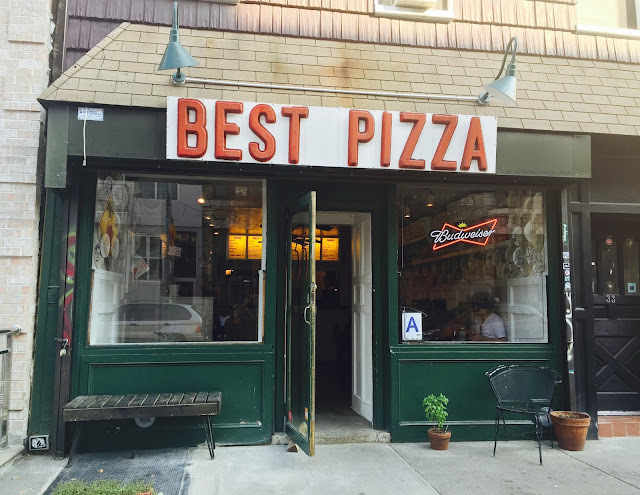 I wasn't surprised that it was delicious because NYC does that the best pizza ever but I wasn't prepared to end up thinking about it for days after. We liked that we were able to find parking right in front and didn't have to wait to be seated in the biggest bench area by the window. Our pie came out fast and was devoured quickly. I had to warn everyone before it came out that I needed to get a perfect shot. The crust at Best Pizza was thin, the sauce wasn't too sweet and the amount of cheese was perfection. I highly recommend making a trip to this spot. After our pizza we wanted the streets of Brooklyn and soaked up the view of our native island. I'm in awe at the fact that many many years ago, when we would take the train out to Coney Island, that this beautiful park was never in our sights and the only way we saw the NYC skyline from the east was when we were riding back home. 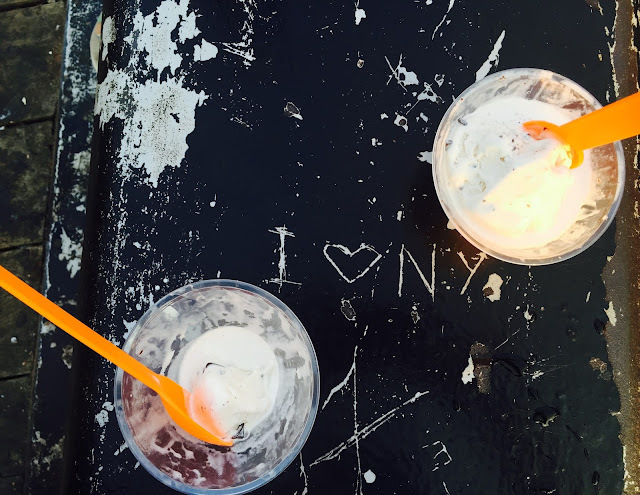 While we were at the Brooklyn Bridge Park we absolutely had to get ice cream at the Brooklyn Ice Cream Factory. I'm not a massive fan of sweets but when I bought my little cousin their vanilla chocolate chunk ice cream I had to taste it and was glad I did. Their ice cream was so fresh and natural that I could see why it's been around as long as it has! Getting a chance to hang out in some of New York City's parks before the chill comes into the air was a great thing to do and I can't wait to squeeze in some more before in the near future.